Consent to Auto-dialed Marketing Calls and Text Messages. By checking the "I AGREE" box, you authorize Nevada Title and Payday Loans, Inc (or its agents), to make telemarketing calls and send marketing text messages to your telephone number listed above using an automatic telephone dialing system on a recurring basis. Signing this consent is not a condition of purchasing property, goods or services through us. If you do not wish to receive sales or marketing calls or texts from us, you should not check the "I AGREE" box. You understand that any messages we leave for you may be accessed by anyone with access to your voicemail or texts. You understand that your mobile phone service provider may charge you fees for calls made or texts sent to you, and you agree that we will have no liability for the cost of any such calls or texts. At any time, you may withdraw your consent to receive marketing calls and text messages by calling us at 800-922-8803, emailing us at webquestions@clacorp.com, or by other reasonable means. Alternatively, to stop marketing text messages, simply reply “STOP” to any marketing text message that we send you. With Nevada Title and Payday Loans, Inc. getting the emergency cash you need quick has never been easier. We make the process as simple and convenient as possible. We'll help you get access to the emergency cash you need. When you arrive at one of our store locations, a representative will confirm that you have the required items for your loan, which will help streamline the process. Before you know it, you could be walking away with up to $15,000 with a title loan, up to $500 with a payday loan or up to $1,250 with a signature installment loan. A checking account statement that’s open in your name. Accessing the emergency cash you need shouldn’t be a hassle. Nevada Title and Payday Loans, Inc. offers the quality customer service you deserve with the fast cash you need. So, get started today! Don't own a vehicle? 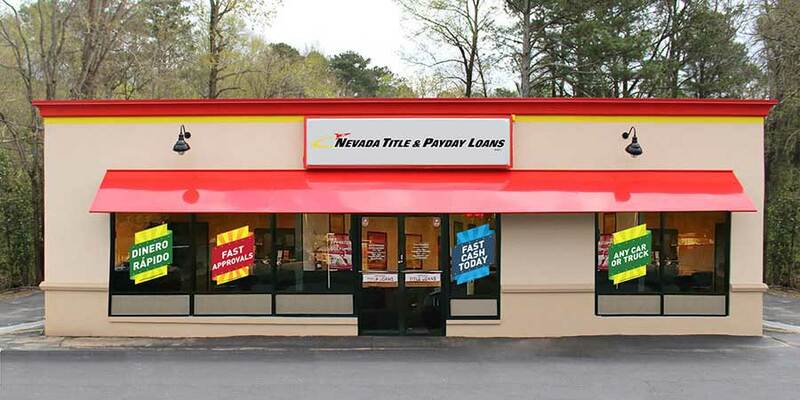 Nevada Title & Payday Loans, Inc. offers payday loans as a fast and easy alternative to get the cash you need. At Nevada Title & Payday Loans, Inc. we work with lenders who offer competitive title loan products. Turn your car into fast cash for things like medical bills, auto repairs or unexpected expenses. When you’re ready to get the emergency cash you need without all the hassles of a traditional loan, Nevada Title & Payday Loans, Inc. has you covered. It doesn’t matter what has left you in need of cash, because with a car title loan you could get up to $15,000 today. © 2019 Nevada Title and Payday Loans, Inc. All Rights Reserved. DISCLOSURE: This is a solicitation for a title loan or payday loan.This is not a guaranteed offer and requires a complete and approved application. Amount subject to vehicle evaluation. Results and actual loan amounts may vary. Certain limitations apply. This site is affiliated with one or more of the licensed lenders referenced herein, including Cash Cow, Inc.